Our weather is very unpredictable these days, so I’m still thinking cold weather things. Like mittens. I don’t like my fingers to be cold. I want them toasty warm and I want both my hands and the little Piggs hands to be warm as we take walks in the freezing cold. 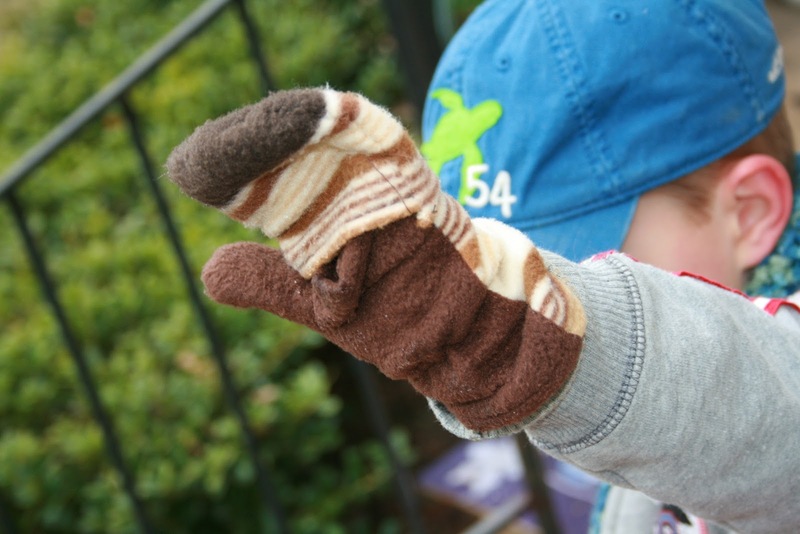 So I made Pigg#1 mittens to match his fleece hat using the same pattern. 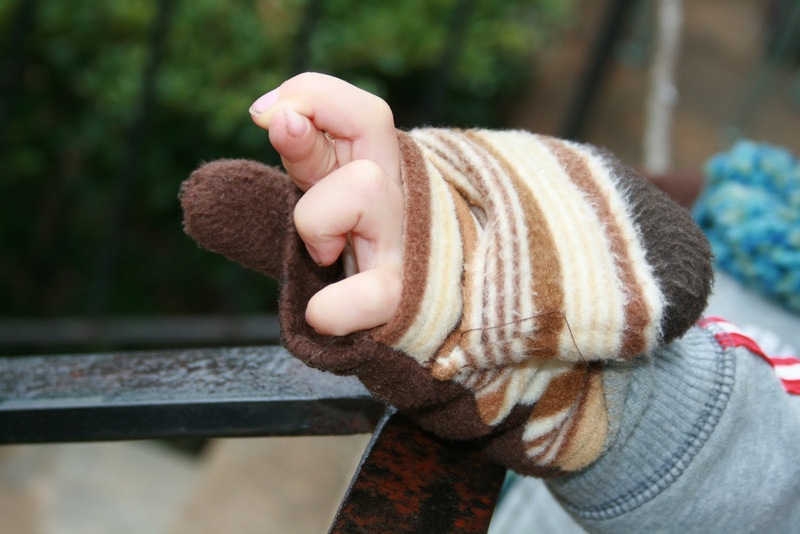 But the thing I hate about gloves and mittens is that I can’t use my fingers. Solution: the flap that folds back and exposed your fingers so you can button buttons, zip zippers, and cross your fingers. I’m still working on a pair for me.